Rocky Mountain Express will run at the Bristol IMAX Omnitheater in Syracuse, NY beginning February 6, 2016 to October 2016. 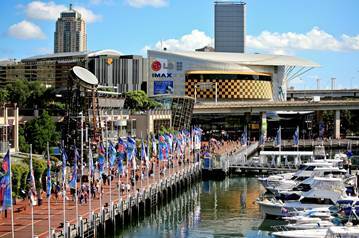 Rocky Mountain Express will run at the LG IMAX Theatre in Sydney, Australia -– February 2016 to September 1, 2016. 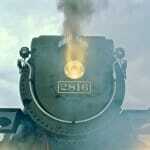 Rocky Mountain Express will run at the World Golf Hall of Fame and IMAX Theater in St. Augustine, FL. between November 6, 2015 and November 5, 2016. Rocky Mountain Express has been released for IMAX® with Laser—the groundbreaking laser projection system now being installed in select IMAX theaters. The award-winning IMAX Experience will be featured in flagship installations of the new IMAX with Laser system in museum environments, including the Pacific Science Center in Seattle WA, IMAX Victoria inside the Royal BC Museum in Victoria BC, as well as TELUS World of Science — Edmonton, in Alberta. 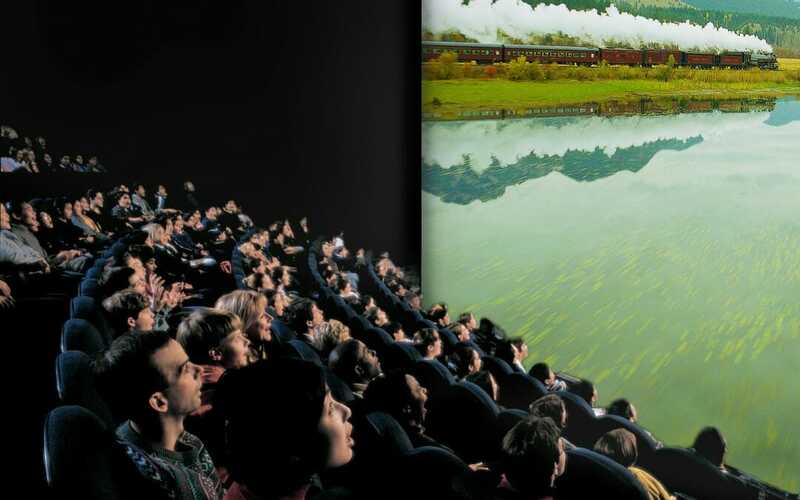 The Pacific Science Center will feature Rocky Mountain Express beginning late November 2015 and IMAX Victoria is slated to re-launch the film in 2016. 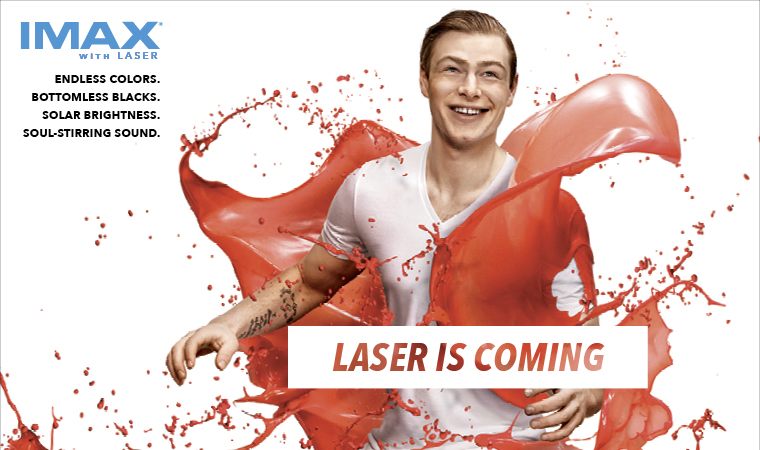 TELUS World of Science—Edmonton will exhibit the laser edition of the film beginning October 14th, 2015. Filmed in the 15 perforation-70mm motion picture format, and first released in 2011, Rocky Mountain Express propels audiences on kinetic and emotive steam train journey through the Canadian Rockies and relates the epic story of the building of the first transcontinental railway. 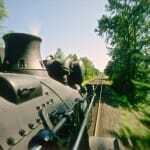 Featuring stunning aerial and locomotive footage, the film offers a unique showcase for the new IMAX with Laser technology. IMAX with Laser has been described as a re-imagination of the movie-going experience. Designed at the first permanent IMAX theater (Cinesphere at Ontario Place), the new 3D-capable laser-driven system is some 60% brighter in output than existing systems and features a significantly larger colour gamut, as well as the capacity to project at an aspect of 1.43:1, consistent with the tall format used by existing IMAX film capture and projection technology. IMAX with laser features two 4K projectors running simultaneously with sub-pixel alignment in both 2D and 3D to deliver a perceived resolution greater than 4K. Sharper and brighter images, darker blacks and an overall heightened level of realism are hallmarks of the new system. For 3D presentation, re-designed 3D glasses take advantage of the purity of laser light to eliminate residual light ghosting inherent in traditional 3D projection technologies. The sound system for IMAX with Laser includes 6 additional channels with a sub-bass, speakers now in the ceiling, as well as additional side wall speakers. The new system is linked to an IMAX network operations center, enabling around-the-clock monitoring of system components. The Pacific Science Center in Seattle installed IMAX with Laser in April. IMAX Victoria in Victoria BC will offer IMAX with Laser beginning March, 2016. The Cineplex ScotiaBank Theatre in Toronto was the first theatre to debut IMAX with laser while the TCL Chinese Theatre was the first in the U.S. to debut the technology. IMAX has signed more than 71 laser deals around the world including the most prestigious and iconic commercial theatres, museums and science centers such as the Empire Leicester Square in London; AMC’s Lincoln Square in New York City, Universal CityWalk in Los Angeles, and Metreon in San Francisco; Darling Harbour in Sydney; CineStar IMAX Sony Center Berlin at Potsdamer Platz; the Smithsonian’s 3 IMAX theatres and; TELUS World of Science–Edmonton, where Western Canada’s first IMAX Laser will debut in October. Select titles from The Stephen Low Company will be available for ultra high definition (4K) home viewing via Comcast and the the Xi4, an X1 Entertainment Operating System® set-top box. 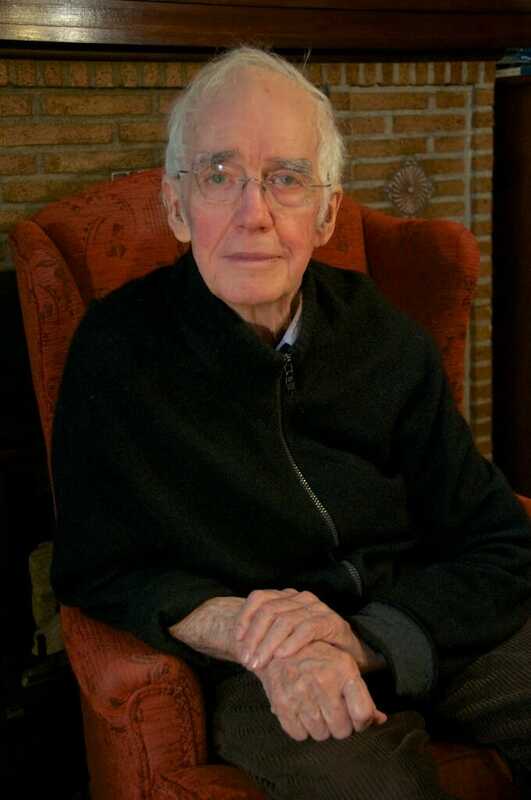 The selection of titles includes the award-winning films Rocky Mountain Express, The Ultimate Wave Tahiti and Fighter Pilot, among other IMAX and giant screen titles licensed through K2 Communications and Havoc TV. 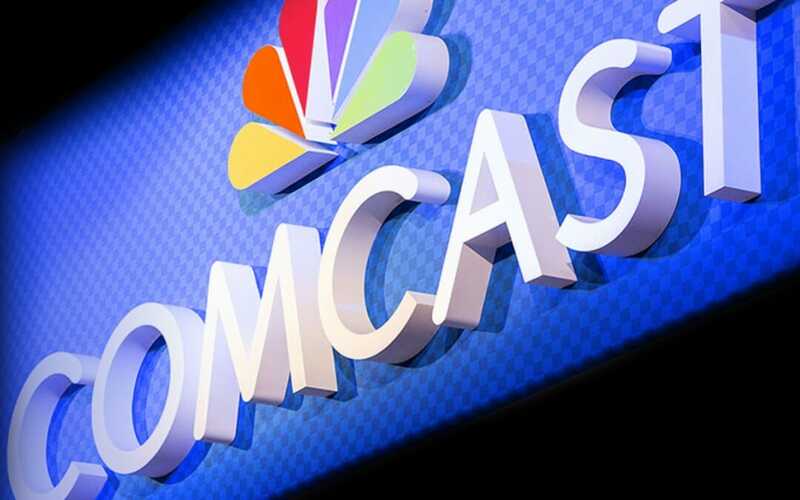 The titles will be available to Comcast Xfinity TV subscribers in the U.S. equipped with UHD TVs and the new X1 set-top box, the Xi4. Captured for premium presentation on giant IMAX® screens, productions from The Stephen Low Company represent the highest standards of media quality and are regularly used to showcase the capabilities of advanced ultra-high definition, 3D and surround-sound technologies, including television, projection and home theatre systems. Check with the theater for exact dates and showtimes. By Special Arrangement. We’re pleased to announce that Rocky Mountain Express will be presented in celebration of Canada Day 2015 and the MacDonald Bicentenary at the historic Regent Theatre in Picton, Ontario—July 1, 2015. Come celebrate! For details and showtimes, visit The Regent Theatre. Rocky Mountain Express relates the story of the building of Canada’s first transcontinental railway, an effort championed by Canada’s first Prime Minister, Sir John A. MacDonald. The historic Regent Theatre is located on Main Street in Picton, Ontario (Prince Edward County). Designed in the style of an Edwardian opera house, The Regent Theatre first opened its doors in 1922. Since 1994, the theater has been operated by The Regent Theatre Foundation, a community based, not-for-profit organization. For more information, see: about The Regent. The Stephen Low film Volcanoes of the Deep Sea will be exhibited at the Keong Emas IMAX Theatre in Jakarta, Indonesia from June 15th, 2015 through June 14th, 2016. 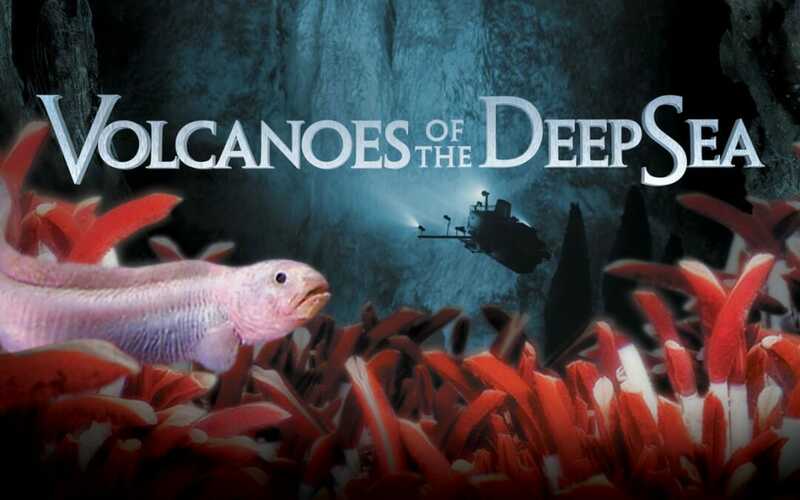 Premiered in 2003, the groundbreaking giant screen film presented the first extensively lit and filmed scenes of life thriving on hydrothermal vents in the deep Atlantic and Pacific oceans. Opened in 1984, the Keong Emas (“Golden Snail”) IMAX theatre in Jakarta is among the largest IMAX theatres in the world with a screen dimension of 21,5 metres high x 29,3m metres wide. The iconic theater, shaped like a shell, draws its architectural design inspiration from an historic Javanese story about a beautiful princess (Dewi Sekartaji) who is magically transformed and kept in a golden snail shell. Laser projection has entered the giant screen market with a woosh and a blast of steam. “IMAX with laser” was demonstrated at the TCL Chinese Theater in Hollywood, CA earlier this month using scenes from the Stephen Low film Rocky Mountain Express as well as several recent Hollywood releases. Developed in collaboration with technology partner Barco, IMAX Corporation’s latest advance combines the power of laser with new patented projection technologies to boost the brightness, contrast, colour gamut and overall clarity of large format digital cinema. It wasn’t any wonder that IMAX Corporation chose Rocky Mountain Express to highlight the true power of the new technology. 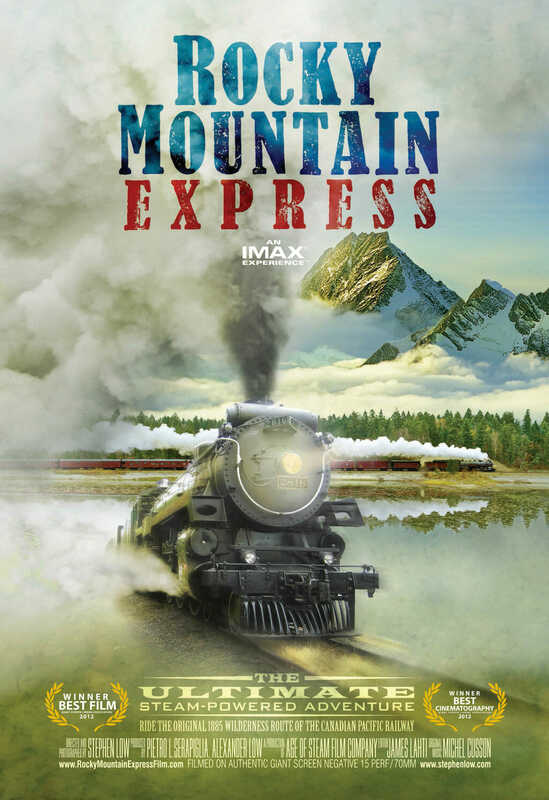 Captured entirely in 15 perforation/70mm motion picture film and with the support of a helicopter and gyrostabilized Spacecam-mounted IMAX® camera, the Rocky Mountain Express delivers kinetic ride factor and the wide, sweeping vistas of the western landscape with crisp, compelling detail. Scanned from the original negative at an astounding 8K resolution, the film demonstrates the true screen power of IMAX with laser. Reports Germain Lussier of slashfilm.com, “During the Furious 7 trailer, the detail and contrast was crisper but not in a way that made your jaw drop. Then, showing a scene from Rocky Mountain Express…the image was absolutely stunning. Think along the lines of the bump from DVD to Blu-ray, with white smoke that looked 3D it was so white, and details in every single tree in the environment.” The consensus among those that have seen the new IMAX technology is that is it here to stay and represents a veritable leap in digital cinema presentation. When matched with superior film capture and cinematography, laser projection really shines. 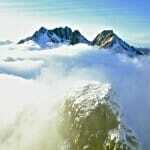 The IMAX Experience Rocky Mountain Express premiered in 2011 and has since wowed audiences around the world. 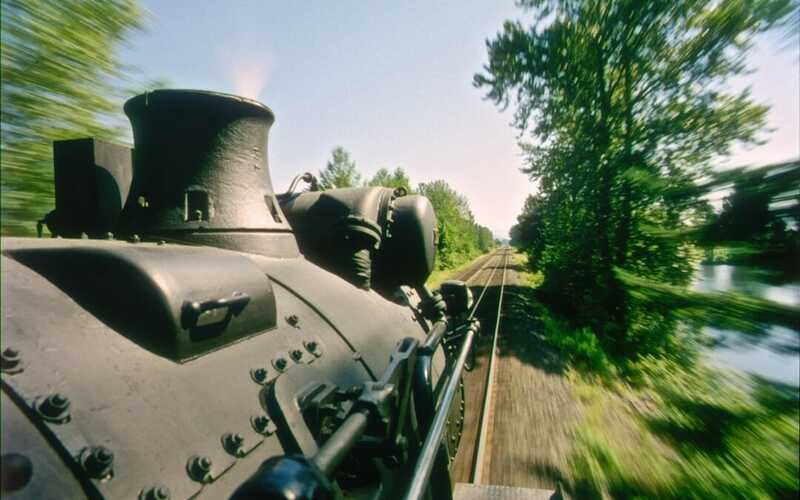 The film propels audiences on a steam locomotive excursion through the Canadian Rockies and tells a moving story of the epic 19th-century building of one of North America’s first transcontinental railways. 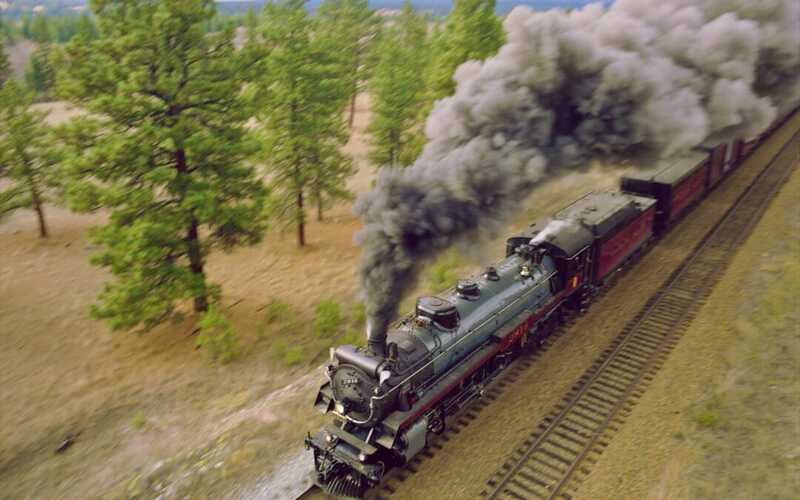 Rocky Mountain Express has been hailed by audiences and media as one of the best IMAX films of all time and garnered Best Film and Best Cinematography awards from the Giant Screen Cinema Association (2012).